Ujung Kulon National Park is one of conservation area in Indonesia that has an important role in preserving nature resources and ecosystem as fit to the function of protection, preservation and use in effort to support public prosperity and better living. Well known as the last home for Javan Rhinoceros (rhinoceros sondaicus), Ujung Kulon National Park also has high biodiversity, consisting of three ecosystems, they are marine, coastal and terrestrial containing 30 kinds of mammals,21 kinds of reptiles, 17 kinds of amphibian, 270 kinds of aves, 63 kinds of reefs,175 kinds of fishes, and beautiful nature panorama. Those great potentials that Ujung Kulon National Park has nature diversity assets for ecotourism, research and culture. Ujung Kulon National Park covers area of 122,956 ha,consisting of terrestrials: 78.214 ha,marine:44.337 ha. Ujung Kulon National Park is administratively located in Sumur and Cimanggu sub district, Pandeglang region, Banten Province, that geographically is between East Longitude 102 02’32’-105 37’37’and South Latitude 06 30’43-06’30’43-06 52’17. 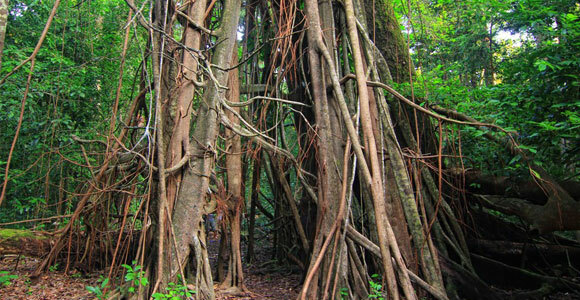 In 1846, Ujung Kulon National Park flora and fauna is well known by Junghun, botanical exper from Germany. In 1921, Ujung Kulon National Park and Panaitan Island was nominated as Nature Park by The Netherlands Government’s Decision Letter No.60 on 16 November 1921. In 1937, Decision of the Netherland Government No.17 on 14 June 1937 is to change Ujung Kulon into Animal Park by including Peucang and Panaitan Island. In 1958, based on Decision letter of Ministry of Agriculture No.48/Um/1958 on 17 April 1958 is to change Ujung Kulon National Park into Nature Park by including marine area of 500 meters from the lowest tidal wave. In 1967, Decision Letter of Ministry of Agriculture No./kpts/Um/3/1967 on 16 March 1967, Mountain Honje is part of the Ujung Kulon Nature Park. In 1979, North Mountain Honje is part of the Ujung Kulon National Park by Decision Letter of Ministry of Agriculture No.39/Kpts/um/1979 on 11 January 1979,covering area of 9,498 ha, by Decision letter of Ministry of Forestry No.96/Kpts/11/1984, the area consisting of: Ujung Kulon Peninsula, Mountain Honje, Peucang island and Panaitan Island, Krakatau Island and Carita Recreation Park. In 1980, on 15 March, through Ministry of Agriculture statement, Ujung Kulon is managed by national park management system. In 1984, Ujung Kulon National Park is formed. In 1990, based on Decision Letter of Director general Forest Protection and nature Conservation No.44/Kpts/DJ/1990 on 8 May 1990, Ujung Kulon National Park releasing Krakatau Island to management of Nature Conservation 11 Tanjung Karang, and Carita Recreation Park to Perum Perhutani Unit 11 West Java. In 1992, Ujung Kulon was officially declared a national park with the decree No.284/kpts-11/1992 Dated February 26, 1992. The area consisting Ujung Kulon Peninsula, Panaitan island, Peucang island, Handeuleum Island and Mountain Honje with encompasses approximately 76.214 ha land and 44.337 ha marine areas. In 1992, UKNP and the Krakatau Island Nature reserve declared as World Heritage Site by United Nation Education, Social and Culture Organization (UNESCO) with the decree No.SC/Eco/5867.2.409 on 1992. Ujung Kulon National Park is one of history facts of the ruins of Mountain Krakatau explosion in 1883, which has known for its great explosion that continued to succession of the growing of plants and wild animals. 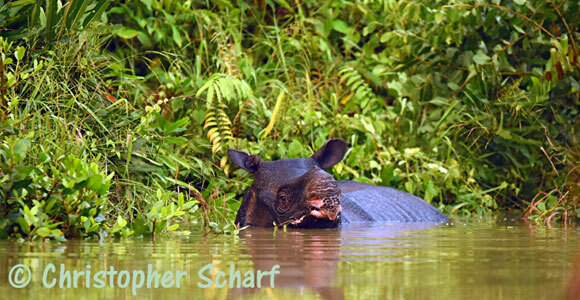 Ujung Kulon National Park is also well known as home for Javan Rhinoceros (rhinoceros sondaicus). Through survey that was done by experts, it was found 700 kinds of flora and 57 kinds among them are area and endemic species, and up to present the flora and fauna potential are spreader into these vegetations. Coastal Forest, formation is consisting of pes caprae (lpomoea pes caprae) katang-katang, Spinefex littoreus (jukut kiara), Pandanus tectorius(pandan), and Barringtonia (butun), Barringtonia asiatica, api-api (Avicena). Mangrove, general kinds whish founded are padi-padi (Lumnitzera racemosa). Freshwater Swamp is known by the types of Typha (typha angustifolia). Lowland Tropical Forest is known by Palma. 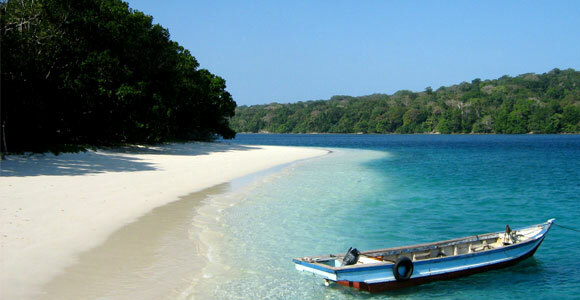 Ujung Kulon National Park is one of the oldest national parks in Indonesia. Many kinds of animal live and reproduce in this park. 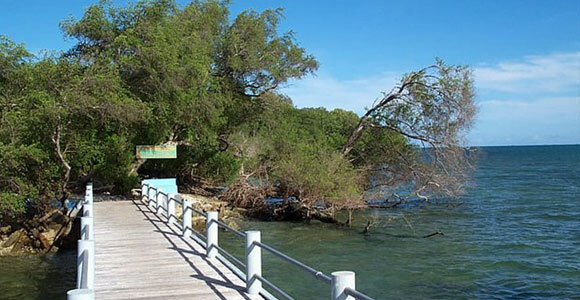 Tamanjaya is one of the gates to enter Ujung Kulon National Park. Interesting places surround Tamanjaya is Cibanua fisherman village, Cipaniis waterfall, Cibiuk hot spring, and Javan Gibbon observation spot at Cikacang water fall. Cibanua, located 2 km from Tamanjaya, is a village of Bugis and Sudanese mixture. The house pattern built is interesting object to be seen along the beaches. Cipaniis waterfall located 3 km from Tamanjaya as beautiful natural waterfall and its not far from Paniis Village. Cibiuk, located 3 km from Tamanjaya, as natural hot spring in this location is used by visitor for bathing because it is believed to cure kinds of diseases. Cikacang waterfall is a location for education and research and paradise for researcher which supported by land farm and forestry panorama. 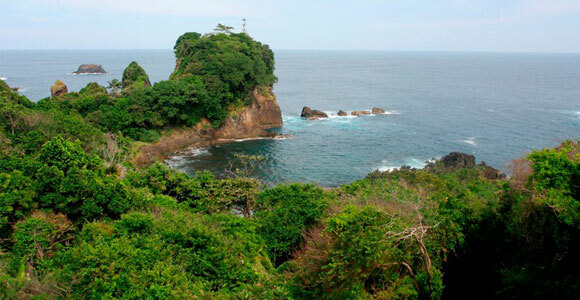 In this location visitor are able to do kinds of researches of flora and fauna. Most of the researches are about primate, especially Javan Gibbon, kinds of birds and herbal medicines. This place is surrounded by primary and secondary forest. Ujung Kulon Peninsula is the home for Java Rhinoceros, therefore the use of this area for tourism is limited. The objects of tourism are mostly tracking. The routes of the tracking area. The route starts from Tamanjaya to Kalejetan with the distance about 15 km (3 hours). The track can be continued to Karangranjang or stay first at this place because camping ground is available. The distance of Kalejetan - Karangranjang is 10 km (2hours). Along this track are low land tropical forests and followed by coastal forests and followed by coastal forest with kinds of animals such as birds, mammals, for example wild cow etc. The route of this track is combination between land and marine with distance from Karangranjang to Cibunar is about 25 km can be reached in 7 hours, the distance of Cibunar - Cibom is 9 km can be reached in 4 hours by walking. As arrived in Cidaon, visitor may go back by boat which rented before tracking. Objects found along this road are low land tropical forest, coastal forest, grassland. Beautiful sand stone which are formed naturally can be seen also at Cibunar. Object at Handeuleum Island Handeuleum island is has kinds of objects to be viewed, such as canoeing at Cigenter river, canoeing at Cikabeumbeum and Pamanggangan river, and other attraction at the island. Peucang Island is the most visited location by domestic and foreign visitor. Peucang Island covers area of 450 ha with facilities available are Ujung Kulon National Park’s home stay and private’s home stay. Interesting objects found are. Along the tracking route, kinds of deers, birds and tropical forest with big trees are found and ended at Karang Copong that is big reefs with holes located in marine. In the evening, it is a nice place to see sunset. This track will spend 3 hours walking go back and forth. 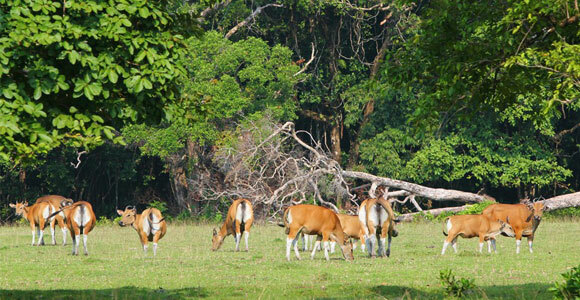 It is of grazing grounds in Ujung Kulon National Park that can be reached by boat t cross. Peucang island and continued by walking 200 meters from beach. At the grazing ground, there are wild cow, peacock, wild pig etc. These animals can be seen in the morning and evening. During the Netherlands colonialization, this place is planned to be big trade peer. Historical ruins can be seen are light house and other building built during that time. Once in a while, primates are seen as tracking along this route. 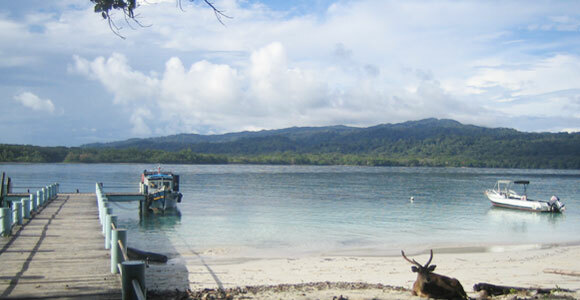 To reach this place, visitor has to take speed boat from Peucang Island and continued by walking. Marine objects in Peucang Island are snorkeling and diving at some spot at Peucang Island which has range of coral reefs.